Serious auto accidents can be physically—and financially—devastating for victims. In 2016 alone, motor vehicle accidents in Delaware resulted in more than 8,500 injuries, 120 deaths, and $669 million in economic losses, according to the Delaware State Police Annual Traffic Statistical Report for that year. To help defray such losses, Delaware requires all drivers to carry Personal Injury Protection (PIP) insurance. If you sustained injuries or economic losses in a car accident, understanding what PIP insurance is—and how it works—is essential to your recovery. Read on to learn more about this important type of insurance coverage. What Is PIP Insurance and Who Does it Cover? PIP insurance is a type of first-party insurance coverage, meaning that the insured receives benefits from his own insurance company in the event that he suffers injuries, lost wages, or other losses in a car accident. This kind of insurance is sometimes called no-fault coverage, as the policy pays benefits regardless of who was responsible for the crash. PIP insurance covers the vehicle's driver and passengers, as well as any pedestrians or bicyclists injured in a collision with the covered vehicle. What Does PIP Insurance Cover? Medical expenses. PIP insurance covers all necessary and reasonable medical costs associated with the car accident injuries, including ambulance transportation services, hospitalization, X-rays and other diagnostic tests, surgical procedures, dental treatment, rehabilitation, and prosthetics and other assistive devices. Lost income. Car accident victims who can prove they lost wages due to their crash-related injuries can receive PIP benefits for the full net amount of their lost earnings. Related assistance services. If accident-related injuries prevent policyholders from completing necessary home or child care tasks, PIP benefits can be used to pay for assistance. Funeral expenses. When car accident injuries result in death, PIP insurance benefits can cover funeral service fees, and cremation or burial costs. PIP insurance pays the above benefits for up to two years following an accident—or until the policy's coverage limits have been exhausted. 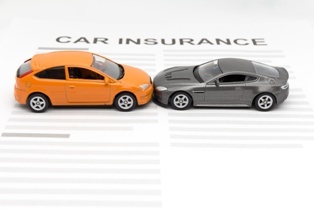 While the above coverage amounts are the bare minimum necessary to be in compliance with Delaware auto insurance requirements, higher PIP coverage limits are available and recommended. Delaware is not a no-fault state, meaning that car accident victims are not prevented from suing the at-fault party for additional damages, such as pain and suffering, mental anguish, scarring or disfigurement, and other non-economic losses. When filing a car accident personal injury claim in Delaware, accident victims can't sue the at-fault party for medical expenses or lost wages covered by their PIP insurance. However, if the PIP policyholder's coverage limits were exhausted before their medical bills and lost income were fully reimbursed, they can sue the party responsible for the accident for the remaining damages. Our personal injury attorneys, Wilmington, DEcan help victims explore their legal options. Auto accidents are a daily occurrence in Delaware and across the country. According to the Delaware state police, there are more than 26,450 motor vehicle accidents reported to law enforcement each year. Many of these accidents result in serious injuries, lost wages, and other economic and non-economic losses. Having the right insurance coverages can help motorists ensure that they are sufficiently protected in the event of an accident. A required type of insurance in Delaware, PIP insurance coverage is one of the most important weapons in a motorist's insurance arsenal, as its benefits can be used regardless of who was at fault for the crash. If you were hurt in an accident, the knowledgeable Wilmington, DE personal injury lawyers with the Morris James Personal Injury Group can help you seek compensation for your injuries and losses. Contact the Morris James Personal Injury Group today to schedule a free initial review of your case.